SCVHistory.com | Bouquet Canyon | Special Times at Our Big Oaks Lodge, by Jeff Logian, 2018. Special Times at Our Big Oaks Lodge. Time marches on, with or without you. We woke to discover that The Big Oaks Lodge burned down late last night, August 11, 2018. My grandfather, George, an immigrant from Armenia who escaped genocide under Turkish rule in the late teens or early 1920s, bought the place from Abe Biederman sometime in the late 1940s. George had sold his Glendale liquor store and moved to Bouquet Canyon in the early 1940s. He and his family ran The Falls café for a while. It was torn down a few years ago. 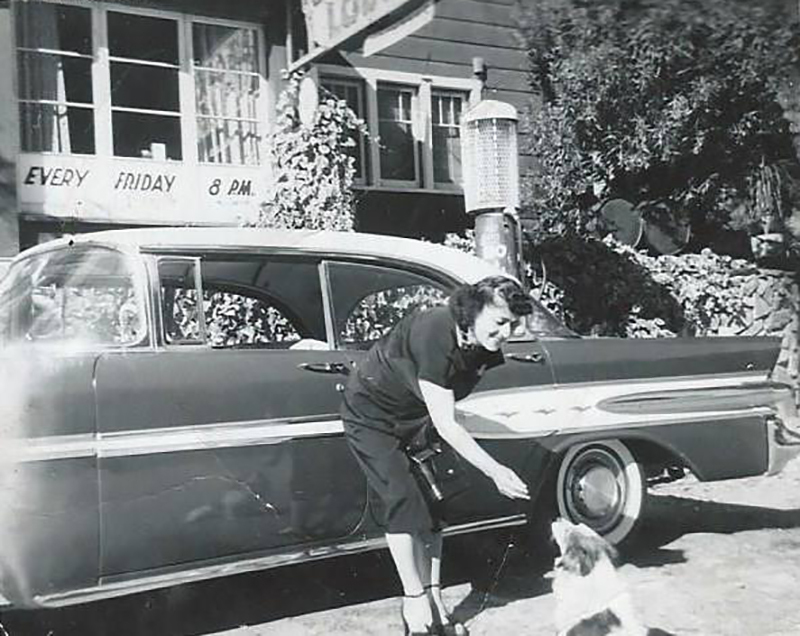 My grandmother Armen, dad Louie, and Uncle Mickey and Artie helped out, as they discovered the challenges and joys of living and working together in the Angeles National Forest. Grandmother Armen Logian prepares to serve her dishes. Click to enlarge. George built a nice cabin in the woods, 3 miles up the road from The Lodge. He planned to retire there after leaving The Falls but was enticed into buying The Lodge when Abe decided he wanted out. Friends encouraged him, saying, "George, you throw so many awesome parties full of good food and drink at your cabin for all of us all the time — why not turn it into a business?" So, he did. Running a dinner house proved to be much more work than the liquor store and café had been. By way of proof, the Logians sold and repossessed the place three times from people who couldn't handle it. Before we tried to sell, we ran it successfully for many years. We were open only on weekends and sold only lamb shish kebab, steak and eventually brochette of beef, for shish lovers who cared nothing for lamb ... although many who thought they didn't like lamb DID love our shish! The side dishes were even more popular — the baked beans, zucchini, rice pilaf, huge oven-baked potatoes, and more. 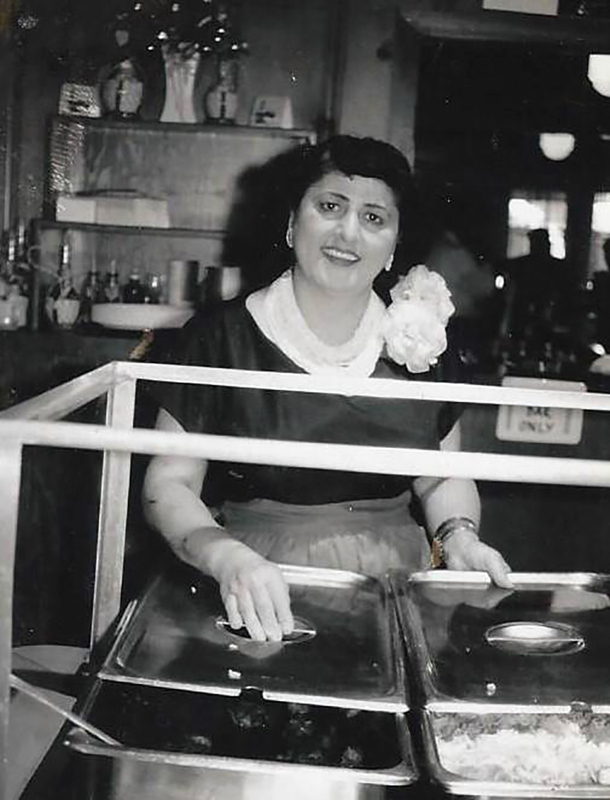 My grandmother, Armen, took great care to serve only the very best. I'd go with her to local farms to source produce. We went to Mike Yurosek's Bunny Luv ranch for the carrots, Boskovich Farms for onions, and so on. If you've seen the move "The Onion Field," much of that was filmed right where we got our produce in the SCV. (Newhall stood in for Bakersfield in the movie). Armen would never allow a farmer to try to sell her culls (below-par product). "Get that away from me!" she'd say. "Give me the good stuff!" 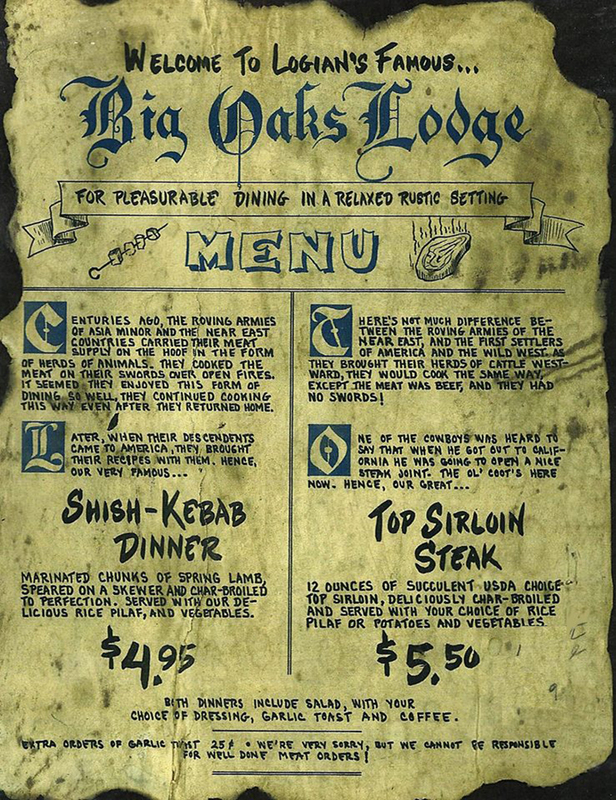 Menu from Logian's Famous Big Oaks Lodge. Click to enlarge. I became involved with the lodge late in the game, during one of the times we reopened the place. My grandfather passed away in 1969. My grandmother tried to run it alone, but it was too much, so she called my dad back in. I worked there in the early 1970s alongside my pals (to this day), Eric Scheider and Bruce Wilkinson. Thursdays my dad and I would head to the butcher to get meat for the weekend. I recall dad marinating those specially cut chunks of lamb — wearing huge latex gloves — mixing in white onions, red wine and multi-colored seasonings in huge batches that we stored overnight, then began serving up fresh Friday and Saturday evenings. All the smells of the kitchen come rushing back — very nice! Although I generally received no special treatment as the boss' son — I mostly washed dishes and swept up huge piles of prickly oak leaves — I was allowed to open up my own burger shack for a time on Sundays when it was slow. I flipped burgers in the cook shack that was usually reserved for shish. Steaks were grilled in the kitchen. Shish kebab always outside in the shack. And my Sunday burgers. I charged 85 cents for a burger ($1.10 with cheese) and was told by some customers, "It's highway robbery!" But many who ordered one often returned for a second. Yes, we had a blast and made good friends cooking up a storm at the Big Oaks. Many movies and TV shows were filmed there, too. An Elvis movie. An episode of "O'Hara, U.S. Treasury." "The Outfit" with Robert Duvall. Some adult films (exterior shots only, no pun intended). But the lodge is also where my mom and dad first met. She lived at the ranger station next door with her dad, a fire prevention officer. That may have had something to do with my dad joining the Forest Service for a time. They got married at the lodge. I'm told the ceremony lasted for three days. My memories include my dad's band which played there quite often. He sang and played tenor sax. Uncle Artie played clarinet — and the spoons. Uncle Mickey was always behind the bar. Grandma Armen was at the buffet, making sure the food was fresh and warm. We had a residence on the top floor above the restaurant, with a little hatch that opened from the bedroom out over the main floor. Armen had a pet monkey named Coco that would occasionally hang from the window. I'm not sure we could get away with that type of activity these days. But those were different times. Special times. I'm glad we had them. 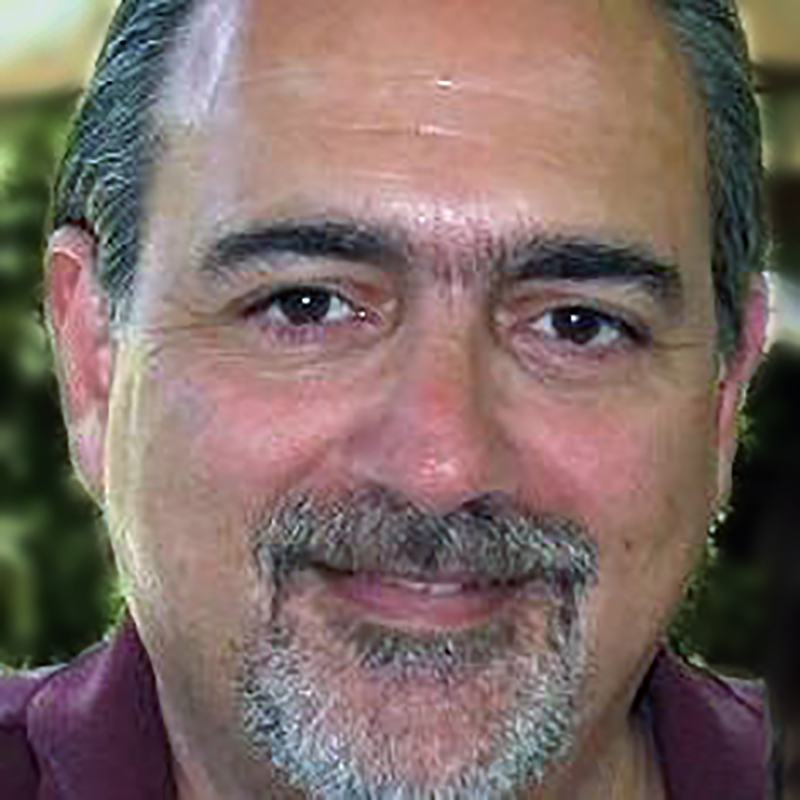 Jeff Logian, known to listeners as Jeff Young, is a longtime radio deejay whose career has taken him from California (including KFI in 1978) to Tennessee, New York, Detroit and back to Santa Clarita from 1994-2015. He currently lives in Tujunga.